In the 1800’s, women who were considered practical nurses took care of children, housework, and light bedside duties to aid the sick. Sounds like a homemaker, doesn’t it? Late in the 1890’s, New York’s Ballard University introduced nursing classes around the same time diseases began spreading throughout the slums of the city. Because LPN’s had enough education to realize the issue could be combated through better sanitation, they began visiting families of the slums to explain the benefits of cleanliness. By 1914, practical nursing had caught on in Mississippi but not throughout the rest of the United States. It wasn’t until World War 2, when nurses became a hot commodity, which practical nursing spread like the proverbial plague throughout the U.S. Women wanted a way to help in the war effort, and what better way than to help heal the injured. The 1950’s is when practical nursing became similar to what it is today That’s when states started requiring licensing, and national nursing organizations began forming. For a few decades, the nursing field was in a state of flux and confusion, it was becoming difficult to differentiate the different levels of nursing, and it seemed no agreement could be met by all the various entities involved in the process. Once the National Council Licensure Exam came into effect in the 1990’s, a tremendous impact created a seismic shift that rippled through the nursing field because finally, practices became standardized. This allowed nurses to move back into long-term care positions, as well as positions throughout hospitals. LPN’s enjoy a fast-paced, never the same day twice kind of profession. Depending on what environment they work in determines their daily duties but one thing is sure, the LPN is the first face of the medical team that the patient will see. LPN’s can find jobs in many different medical facilities, from hospital nurseries to nursing homes. They are a crucial member of the medical team, the eyes, and ears, responsible for reporting to the medical staff about their patients. LPN AND RN: WHAT'S THE DIFFERENCE? Before the differences between LPN’s and RN’s are discovered, how about the similarities? No matter what type of nurse you choose to become, they all work extremely hard and sometimes it can be a thankless job. Both are equally fulfilling careers within the healthcare industry, and both careers have upward trajectories. There’s a lot that can happen in the day in a life of an LPN. Emotions can go on an epic roller-coaster ride, and you need the emotional, mental, and physical skills to properly handle the job. Great Communicator: Is this one too obvious? Well, you need to be able to speak to everyone, from patients and their families to the entire medical staff on the case. And, not only that, but you also need to know when to stop talking and simply listen. It’s a skill, trust us. Communication is probably the number one necessary skill any nurse needs to have. Caring, Empathetic and Compassionate: Because you’re going to be working with sick people, you must have the right temperament. Being sympathetic to the needs and wants of patients can help them tremendously through the process of their treatment. It’s a skill not everyone is born with, and sometimes it can’t be learned. But, it’s a must. Emotionally Stable: There is a definite unnerving factor when it comes to nursing. LPN’s experience harrowing circumstances where they watch that thin line between life and death waiver frantically on a regular basis. It can break anyone, but someone emotionally stable has the tools necessary to keep their job separate from their life, which is almost like a cloak of emotional protection like a magical superpower. Flexible: You have to roll with the punches. Listen, not every day will be peaches and cream, so LPN’s have to be flexible. They must be able to acclimate and accommodate. Hours, days, patients, every day is a different day. And they aren’t cookie cutters. Deep breath, and roll. Detail-oriented: Mistakes happen. Except in the medical field, mistakes can mean the difference between life and death. LPN’s need to pay attention to every minute detail, from reading a patient's chart to remembering the doctor’s recommendation for the course of action. People-person: Let’s be honest here, a nurse is like a middleman between the patient and the rest of the medical staff. They are dealing with people all the way around. So, the need to have a friendly, open demeanor is indisputable. Energetic: Standing, walking, lifting, sitting, repeat. The physical activities in the life of a nurse. Because they are constantly on the move, they need energy. Working out, eating right, and living a somewhat healthy lifestyle is vital to the career of a nurse. Problem solver: Nurses shouldn’t see problems, only ways to solve them. They also need to think quickly and with good judgment. Respectful: People and rules all need respect, in life as well as in the medical field. LPN’s need to abide by the wishes of their patients, doctors, and of themselves. When it comes to becoming an LPN, there are a couple of different options available. A diploma or certificate is the fastest way, taking only a year. But you can also choose to get an associate’s degree, taking two years, which is exceptionally beneficial if you’re thinking about eventually going on to become a registered nurse. One thing to note when choosing an LPN program is to make sure it’s accredited. Otherwise, you can’t sit for the NCLEX-PN. Any LPN program requires students to be at least 18 years old, and have a high school diploma or GED. Some schools may also require you to pass an entrance exam. Any LPN program will have courses such as medical terminology, anatomy/physiology, nutrition, psychology, nursing care for both adults and infants. Also, prerequisites will most often include math, chemistry, biology, English, and psychology. Once you have your diploma or degree in your hot little hand, it’s time to sit for the NCLEX-PN. Every state in the US requires LPN’s to sit for and pass the NCLEX-PN to work in their chosen field. This multiple choice exam includes 85-205 questions, which has to be completed in five hours. Because it’s a computerized test, it can adjust the difficulty of the questions depending on the person taking the test and how well they are doing. If it’s not passed the first time, you’ll have to wait 45-90 days before you can take it again. Once you’ve passed the NCLEX-PN, you can decide to pick a specialty field to become certified in. Certifications include gerontology, long-term care, pharmacology, hospice and palliative care, neonatal education, dialysis, and immunization. Ok, ready for what’s next? Time to find your LPN job! Oh, and once you’ve been working as an LPN for awhile, you may want to consider furthering your education and becoming an RN or beyond. To earn, you must first learn. And, learning comes with a price tag that can sometimes cause potential students to pause. Getting your LPN is definitely a less expensive proposition than getting an RN. But, it’s still going to cost. And, the average LPN program ranges between $5,000-$30,000 for the year. That’s not including associated fees such as books, and housing which can add significant dollars to the cost. Public, private, in-state, out-of-state, all these things can add or subtract from your out-of-pocket cost. It’s obviously less expensive to go to a public, in-state facility. Don’t forget, there is also financial aid in the form of scholarships, grants, and loans, to help pay for your schooling. When thinking about cost, keep in mind the price of some of the incidentals you’ll need to pay for, such as a good stethoscope which can run upwards of $150. Plus, you’ll need a uniform or two, and other smaller priced nursing supplies. And, the NCLEX-PN costs money to take, which is around $200. 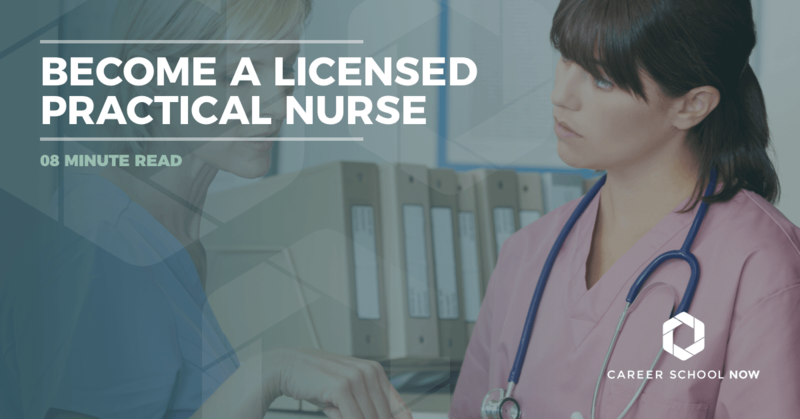 Many nights, weekends, and holidays are worked by Licensed Practical Nurses. Most are employed full time, while only 1 in 5 work part time. The median annual salary for Licensed Practical Nurses is $44,090. The lowest 10% earn $32,510 annually, while the top 10% make over $60K. Between now and 2026, employment opportunities for LPN’s are expected to grow 12 percent. The baby boomers are the largest demographic in the United States, and as they start aging, there will be increased employment opportunities for LPN’s.